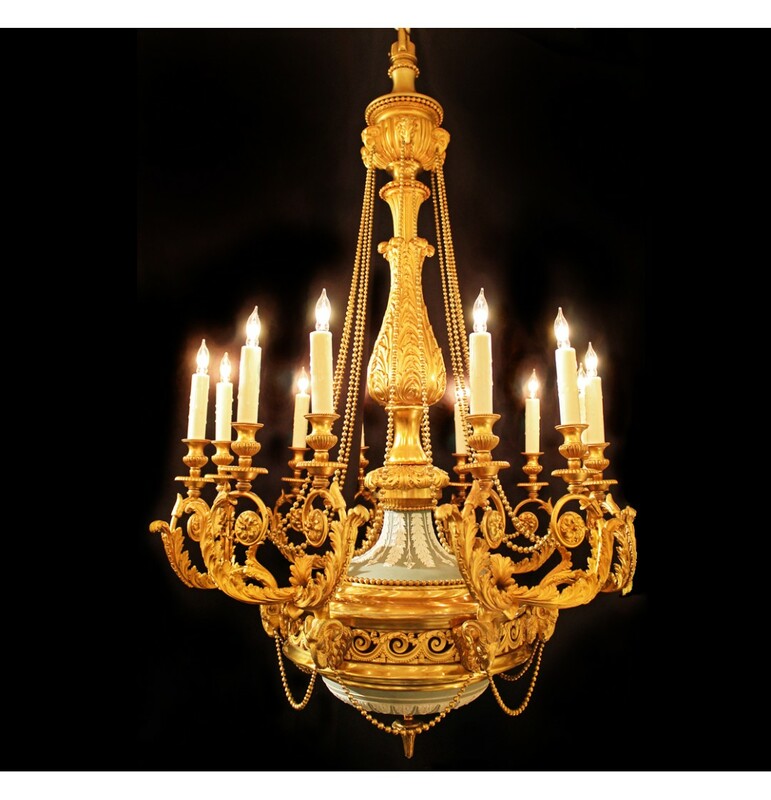 English Doré bronze Wedgwood porcelain chandelier. 19th Century. 12 lights.